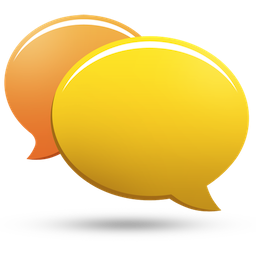 Please use this section to post any thoughts you may have in regards to our services. We appreciate if you post positive thoughts. I am extremely please with the resume Amy prepared for me. When I decided to revise my extremely outdated resume, I felt very overwhelmed about the process. I sent an email inquiry to several local companies. Amy responded quickly with all the info I needed and promised a quick turn around. She delivered on all her promises. Amy made the process quick and painless for me. I wouldn't hesitate to use her services again and will recommend her to others. I hace to apologize as this review was long due. I have the privilege to contract the services and everything was five stars. From the moment I contacted the site, the personalize service and the fantastic resume I received at the end of the quick process. I will recommend without hesitation. Amy was amazing her services where on time as promised. Her resume writing was outstanding. I was shifting industries and Amy had me with a new career in 2 days. Everyone said they loved my resume. Thank you Amy for making my dreams become reality. Absolute A+ Service! Amy was attentive to the specific needs I had, and as a professional making the transition from management to executive level, I needed an assist in updating my antiquated resume. Incredibly responsive, quick service! I just wanted to say thank you very much for such an outstanding resume!! I have received about 10 calls already within a few days!! I have received so many compliments on what a great resume I have! I may actually already have a job offer in the works. I will definitely refer you to anyone who is need of a resume! Amy, I am extremely pleased with the services. It looks very professional and thank you for having my resume done in a very timely manner. I will recomend your services to anyone in a heart beat... Thank you so much, I got a job thank to you! Thank you Amy for my wonderful resume! 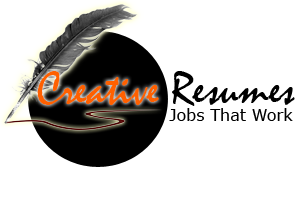 I am so glad I choose Creative Resume's to help me create my resume. You were able to take all of my skills, abilities and work experience and create a wonderful resume that highlight's all of my talents. The time it took to complete the resume was fast. After receiving my resume and sending it out, I have already received 3 call backs and have a job offer. Thank you!! I would like to thank Creative Resumes for the outstanding resume they were able to put together for me. Amy is very professional and has the best prices I've seen in a long time. I received a job offer that Amy catered my resume towards. I will definitely refer creative resumes! Thank you so much Amy! The turnaround time was amazing got my resume done including cover letter in a timely manner. She is also very professional and great with words. Keeping my finger crossed but I am confident now that I have a more current resume. I want to thank you so much for a great resume I truly am grateful for all the time and effort you put into this and I am very happy you was trying to accommodate me in every way. I am very satisfied in the finished product, I will definitely refer you to my friends. The Amazing Amy! I sought Amy's aid when I was on a *serious* time crunch due to high work demands. I needed a professional to help me write an outstanding cover letter for a teaching position (private school). I would totally recommend her to anyone. She was quick, responsive and extremely helpful. Thank you so much for all your help, Amy! I highly recommend Creative Resumes to anyone who needs to have their resume updated. Based on the work she had done for me, I was able to find a new career and an awesome salary to go along with it in less than three weeks. Thank you Amy, for a fast and very well executed resume package! Thank you to Creative Resumes and Amy Cheek for the outstanding job they did on my resume!! I was getting discouraged after leaving my last job due to the desire I had to achieve more. The resume I attempted to make myself I found that I wasn't getting the responses I had previously thought I would. After constant concern I started to doubt the talents I knew I possessed. One day I was on the Internet searching for ways to get myself out there. I came across the outstanding staff at Creative Resumes through a Google search. After reading about creative resumes I had realized that although I possessed the skills in my current field that resumes creativity is a field all in its own. I decided to take a chance with creative resumes due to there extremely competitive pricing. After minutes of speaking with Amy I knew I needed her help. It gives me great pleasure to Inform you that not only did I receive a resume within 48 hours . I received a resume that was better and highlighted my talents better then I could ever have had done on my own. Not only did I find a job, I found a career! The resume I had received put me in a professional league of my own . I am truly grateful to the staff at Creative resumes for there hard work and their speedy turn around time! Thank you for the amazing service and turn around time. I will definitely be using your services again and referring you to anyone looking to land a job. Amy is professional and she did a great job for me .despite English is my second language,she found what did I want quickly..and she was always available to help me to find out what I want .Thank you Amy . I was very happy with the resume creativeresumes.com made for me, very fast and thorough work. Looking forward to contacting you in the future for any resume work I need done. Thank you!! I really like Amy. She is tentative passionate, and oh my God, so FAST, she respond back to you before you finish your coffee....over all, and all she is a wonderful human being with great qualities...I know her for few years, I have tendency to keep professional people like Amy for life...that's why I always for resume update, etc....I will go back to her....ALWAYS....Thank you AMY! Amy was a pleasure to work with. She was very professional and knowledgeable. I will definitely recommend her to others. I have to apologize as this review was long due. I have the privilege to contract the services and everything was five stars. From the moment I contacted the site, the personalize service and the fantastic resume I received at the end of the quick process. I will recommend without hesitation. Amy is fantastic she remembered me from all those years back when I 1st did my resume and she is still writing resumes to this day. She remembered me and still produces the great service that I experienced all those years back. Her turn around time is extremely fast and landed me a job in no time. I highly recommend her services, you can never go wrong with Amy!!! I want to take a moment and thank you Amy for providing sucH quick service and turnaround time. I called Amy less than a few hours ago and she was able to provide me with excellent service to include a cover letter and resume within hours of submission. I would highly recommend Amy for any professional resume services!!! THANK YOU AMY!!!!!! Prompt and professional with great independent ideas for capturing the job desired. Recommend to all without reservation or hesitation. Thank you Amy. Amy is completely wonderful to work with. I now have an incredible resume. She is worth every penny. Thank you so much Amy!! Amy contacted me right away! I was very surprised with the turn around time. I submitted my inquiry Thursday night at 10 and she contacted me the very next morning. I had my resume within 24 hours of giving her my info. I've had calls from various career opportunities that never considered me before. my resume is very outstanding per hiring attorney at my law office. Amy is extremely professional, I remembered her from the 1st time she did my resume even after all these years. I searched her for several days to help me update my resume to start a new stage in my career. I couldn't recommend anybody better than Amy, I will always continue working with her in the future. If I need to update my resume or add anything Amy is my go to. She goes above and beyond to make sure her clients are happy! Creative Resumes was able to give me everything they promised in no time at all. Prompt, polite and professional, they were able to listen to my concerns and blow my expectations out of the water. Thank you again Creative Resumes, I will definitely be back to update my resume as well as utilize the complete resume package. I hired Amy a few weeks back looking to upgrade my resume. I hadn't been looking for a job in a few years and needed help. Amy was polite, professional, time conscientious and dedicated to making me look my best on paper. I would highly recommend her services to anyone needing any professional help with their resume. First class service and first class product I was extremely pleased with!!! Thanks for an amazing job!!! I received a fast response from Amy and a quick turn around time. She was able to take my dull lifeless resume and add a professional brightness to it. Thank you for your prompt and professional service. Will def recommend. Amy did an amazing cover letter and resume in the quickest turnaround! I am highly impressed! I could have never imagined a better resume. She is easy to work with, communicates well and is highly detailed and is very affordable. Thank you so much! Highly recommend!! Amy was extremely helpful and made you feel comfortable with the process I was pleasantly surprised at the turn around rate. Would recommend her to anyone. Amy was very helpful , efficient and effective. She conversed with me several times into the late evening to make sure everything was correct and completed ahead of schedule. Amy could charge significantly more for the quality product she delivers in a timely manner. I highly recommend her.